At Farely's East in Oakland, CA. But she’s never in a place for too long. 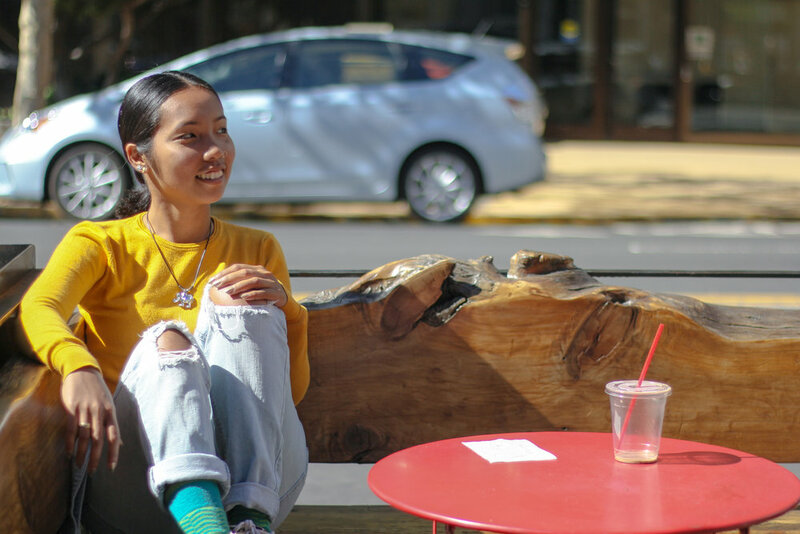 I caught up with Nova Togatorop at Farley’s East in Oakland, California to hear the rest of her stories. Hand-drawn map of her travels. Only in her mid-twenties, Nova has a deep appreciation for the world and an innate curiosity she genuinely seeks to satisfy. Born in Jakarta, Indonesia, she was only 24 when she hitchhiked alone from Nepal to Turkey. A year later, she has found a great way to use her camera as a lens for other people to see what she’s learned. “I met my husband when I was hitchhiking in Turkey. I never thought I would meet someone but that time I felt like I could talk about everything with someone like him.” He was also the one who encouraged her to share her photos and stories. “He said I didn’t see my own potential so he really pushed me hard and even helped me build my website,” she says. Nova's pieces framed in a gallery. After our chat, she tells me that she will be moving to Morocco in less than two weeks time. “I’m in a hurry to sell my stuff,” she laughs. She really is never in a place for too long.